Another Market Crisis? My Survival Manual/Journal! I would be lying if I said that I like down markets more than up markets, but I have learned to accept the fact that markets that go up will come down, and that when they do so quickly, you have the makings of a crisis. I find myself getting more popular during these periods, as acquaintances, friends and relatives that I have not heard from in years seem to find me. They are invariably disappointed by my inability to forecast the future and my unwillingness to tell them what to do next, and I am sure that I move several notches down the Guru scale as a consequence, a development that I welcome. To save myself some repetitions of this already tedious sequence, I think it is best that I pull out my crisis survival journal/manual, a work in progress that I started in the 1980s and that I revisit and rewrite each time markets go into a tailspin. It is more journal than manual, more personal than general, and more about me than it is about markets. So, read on at your own risk! For me, the first casualty in a crisis is perspective, as I find myself getting whipsawed with news stories about financial markets, each more urgent and demanding of attention than the previous one. The second casualty is common sense, as my brain shuts down and my primitive impulses take over. Consequently, I find it useful to step back and look at the big picture, hoping to see patterns that help me make sense of the drivers of market chaos. That premium had not moved much for most of this year, with a low of 5.67% on March 1, and a high of 6.01% in early February, and the ERP at the start of August was 5.90%, close to the start-of-the-year number. Given the market turmoil in the last weeks, I decided to go back and compute the implied equity risk premium each day, starting on August 1. Note that not much changes until August 17, and that almost all of the movement have been in the days between August 17 and August 245 During those seven trading days, the S&P 500 dropped by more than 11% and if you keep cash flows fixed, the expected return (IRR) for stocks increased by 0.68%. During the same period, the US treasury bond rate dropped by 0.06%, playing its usual "flight to safety" role, and the implied equity risk premium (ERP) jumped by 0.74% to 6.56%. I did use the trailing 12-month cash flows (from buybacks and dividends) as my base year number, in computing these equity risk premiums, and there is a reasonable argument to be made that these cash flows are too high to sustain, partly because earnings are at historic highs and partly because companies are returning more of that cash than ever before. To counter this problem, I assumed that earnings would drop back to a level that reflects the average earnings over the last 10 years, adjusted for inflation (i.e., the denominator in the Shiller CAPE model) and that the payout would revert back to the average payout over the last decade. That results in lower equity risk premiums, but the last few days have pushed that premium up by 0.53% as well. 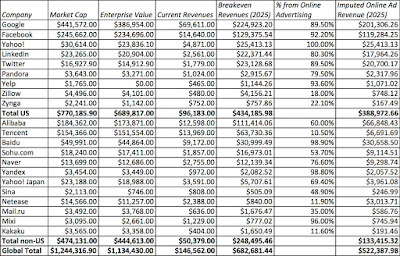 My computed increases in ERP, using both trailing and normalized earnings, overstate the true change, because the cash flows and growth were left at what they were at the start of August, a patently unrealistic assumption, since this is also an economic crisis, and any slowing of growth in China will make itself felt on the earnings, cash flows and growth at US companies. That effect will take a while to show up, as corporate earnings, buyback plans and analyst growth estimates are adjusted in the months to come, and I am sure that some of the market drop was caused by changes in fundamentals. The argument that a large portion of the drop comes from the repricing of risk is borne out by the rise in the default spread for bonds, with the Baa default spread widening by 0.17%, and the increase in the perceived riskiness (volatility) of stocks, with the VIX posting its largest weekly jump ever, in percentage terms. Notice that commodity companies comprise one quarter of the group, with a few cyclical and technology sectors thrown into the mix. Looking across markets geographically, changes in the equity risk premium in mature markets will be magnified as you move into riskier countries and thus it is not surprising to see the carnage in emerging markets over the last week has exceeded that in developed markets, with currency declines adding to local stock market drops. 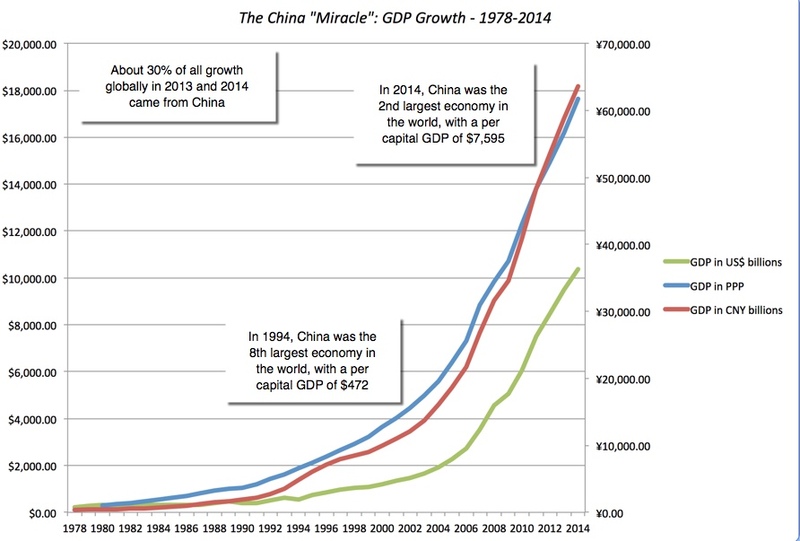 Note that this phenomenon of emerging markets behaving badly cannot be blamed on China, since it happened in 2008 as well, when it was the banking system in developed markets that triggered the market rout. Surprisingly, it is the most liquid firms that have seen the biggest drop in stock prices, though the numbers may be contaminated by the fact that trading halts are often the reactions to market crises in many countries, that are home to the least liquid stocks. If this is the reason for the return divergence, there is more pain waiting for investors in these stocks as the market drop shows up in lagged returns. The crisis seems to have spared no group of stocks, with the pain divided almost evenly across the net debt classes, with the largest price decline being in the stocks that have cash balances that exceed their debt. Note, however, that the multiples at which these companies trade at both prior and after the drop, reflect the penalty that the market is attaching to extreme leverage, with the most levered companies trading at a PE ratio of 3.11 (at least across the 15.76% of firms in this group that have positive earnings to report). If your contrarian strategy for this market is to screen for and buy low PE stocks, this table suggests caution, since a large portion of the lowest PE stocks will come with high debt ratios. As the public markets drop, the question of how this crisis will affect private company valuations has risen to the surface, especially given the large valuations commanded by some private companies. Since many of these private businesses are young, risky startups and that investments in them are illiquid, I would guess they will be exposed to a correction, larger than what we observe in the public marketplace. However, given that venture capitalists and public investors in these companies will be self appraising the value of their holdings, the effect of any markdown in value will take the form of fewer high-profile deals (IPO and VC financing). Break the feedback loop: Being able to check your portfolio as often as you want and in real time, with our phones, tablets and computers, is a mixed blessing. I did check my portfolio this morning for the damage that the last week has done, but I don't plan to check again until the end of the week. If I find myself breaking this rule, I will consider sabotaging my wifi connection at home, going back to a flip phone or leaving for the Galapagos on vacation. Turn off the noise: I read the Wall Street Journal and Financial Times each morning, but I generally don't watch financial news channels or visit financial websites. I become religious about this avoidance during market chaos, since much of the advice that I will get is bad, most of the analysis is after-the-fact navel gazing and all of the predictions share only one quality, which is that they will be wrong. Rediscover your faith: In my book (and class) on investment philosophies, I argue that there is no "best' investment philosophy that works for all investors but that there is one for you, that best fits what you believe about markets and your personality. My investment philosophy is built on faith in two premises, that every business has a value that I can estimate, and that the market price will move towards that value over time. During a crisis, I find myself returning to the core of that philosophy, to make sense of what is going on. Act proactively and consistently: It is natural to want to act in response to a crisis. I am no exception and I did act on Monday, but I tried to do so consistently with my philosophy. 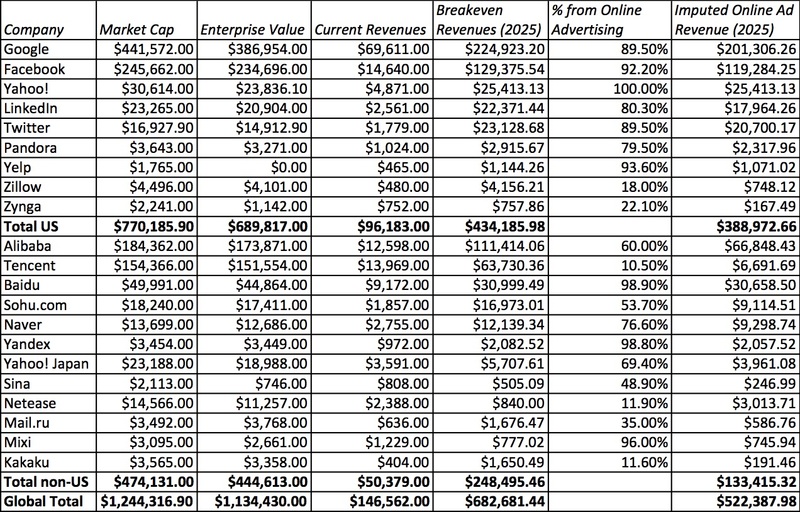 I revisited the valuations that I have done over the past year (and you can find most of them on my website, under my valuation class) and put in limit buy orders on a half a dozen stocks (including Apple, Tesla and Facebook), with the limit prices based on my valuations of the companies. If the crisis eases, none of the limit orders may go through, but I would have protected myself from impulsive actions that will cost me more in the long term. If it worsens, all or most of the of the limit buys will be executed, but at prices that I think are reasonable, given the cash flow potential of these companies. Will any of these protect me from losing money? Perhaps not, but I did sleep well last night and am more worried about whether the New York Yankees will score some runs tonight than I am about what the Asian markets will do overnight. That, to me, is a sign of health! Live by momentum, die by it: In trading, momentum is king and investors who play the momentum game make money with ease, but with one caveat. When momentum shifts, the easy profits accumulated over months and years can be wiped out quickly, as commodity and currency traders are discovering. Deal or no deal? If you share my view that slowing down in M&A deals is bad news for deal makers, but good news for stockholders in the deal-making companies, the fact that this crisis may be imperiling deals is positive news. Rediscover fundamentals: My belief that first principles and fundamentals ultimately win out and that there are no easy ways to make money is strengthened when I read that carry traders are losing money, that currency pegs do not work when inflation rates deviate, and mismatching the currencies in which you borrow and generate cash flows is a bad idea. The Market Guru Handoff: As with prior crises, this one will unmask a lot of economic forecasters and market gurus as fakes, but it will anoint a new group of prognosticators who got the China call right as the new stars of the investment universe. If a market crisis is a crucible that tests both the limits of my investment philosophy and my faith in it, I am being tested and as with any other test, if I pass it, I will come out stronger for the experience. At least, that is what I tell myself as I look at the withered remains of my investments in Vale and Lukoil! It is almost September and as the academic clock resets for a new year, I get ready to teach a new valuation class. With three hundred registered students, it is about as diverse a class as any I have every taught, with a mix of full-time and part-time MBA students, law and engineering graduate students and a few dozen undergraduates. And with a market meltdown framing discussions, it will be interesting to see how the class plays out. As always, I cannot wait for the class to start and as I have, each semester, for the last few years, I invite you to follow the class, if you are so inclined. It is not an accounting class: Much of the raw data in my valuations comes from accounting statements, but once I get that raw data, I lose interest in the rest of the accounting details. In fact, one of my first in-practice webcasts (short webcasts about practical issues in valuation) uses the Procter and Gamble 10K to illustrate how little of a typical accounting filing gets used in valuation and how much is irrelevant or useless. I admire people who can forecast our full financial statements (income statements, balance sheets and cash flow statements) decades out, but I have never ever felt the urge to do so and I am not sure that I have the accounting skills to even do so. It is not a modeling class: As someone who did his first valuation on an old fashioned columned paper sheet with a calculator, I have mixed feelings about spreadsheets, in general, and Microsoft Excel, in particular. I like the time that I save in computational details, but I have to weigh that against the time I lose, playing pointless what-if games with the data that I would never have considered in my calculator days. I admire Excel Ninjas but I have also seen what happens when analysts become the spreadsheet's tools, rather than the other way around. Needless to say, I have never taught a session (let alone a class) built around Excel spreadsheets, though I have no qualms about using one to illustrate fundamental valuation principles. It is not a financial theory class: To be able to teach this class at a research university, I had to go through the rites of passage of a Finance doctoral student, traversing the path that finance has followed, starting with Harry Markowitz and modern portfolio theory, moving through its Greek phase (with alphas and betas dominating the conversation first and then leading on to the expropriation of the rest of the Greek alphabet by the options theorists) to the counter-revolutionaries of behavioral finance. Unlike some who make you choose whether you are for financial theory or against it, I view it as a buffet, where I can partake on the portions of the theory that I find useful and leave behind that which I do not. In my valuation class, in particular, I would be surprised if I spent more than 5% of my time on financial theory, and if I do, it is only because I am trying to get to some place more interesting. Now that I have established what the class is about, let me lay out the five themes around which this class is built. Valuation is a craft, not an art or a science: I start my class with a question, "Is valuation an art or a science? ", a trick since the answer, in my view, is neither. Unlike physics and mathematics, indisputably sciences with immutable laws, valuation has principles but none that meet the precision threshold of a science. At the other extreme, valuation is not an art, where your creative instincts can guide you to wherever you want to go and geniuses can make up their own rules. I believe that valuation is a craft, akin to cooking and carpentry, and that you learn what works and what does not by doing it, not by reading or listening to others talk about it. That is the reason that each week during the course of the semester, I post my valuation of a company, with a Google shared spreadsheet for everyone in the class to try their hand at valuing the same company and coming to a very different conclusion than I do. Valuing an asset is different from pricing it: I will not bore you by repeating this distinction that I drew first in this post but have returned to over and over again. It is my belief that much of what passes for valuation, in practice, is really pricing, sometimes disguised as valuation and sometimes not, but I also think that there is nothing wrong with pricing an asset, if that is what your job entails. Thus, though the bulk of this class is built around intrinsic value and its determinants, a significant portion of the class is dedicated to better pricing techniques, through the judicious use of multiples, comparable assets and statistics. Anything can be priced and most almost anything can be valued: This may be stubborn side speaking, but I have always believed that you can value any cash-flow generating asset (as I have attempted to, in these posts on valuing tracking stock on a professional athlete, a sports team, a trophy asset and young companies) and that you can price any asset (as I tried to to, in these posts on Gold and Bitcoins). While this class is centered around valuing publicly traded companies, I deviate from that script often enough, that by the end of the class, you should be able to value and price any asset. 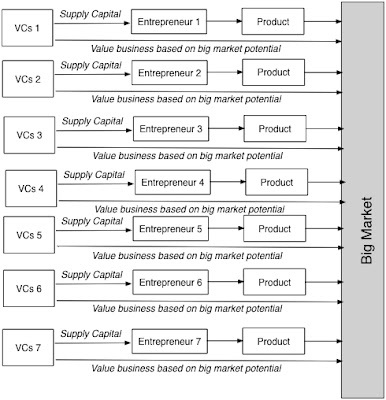 Valuation = Story + Numbers: As readers of this blog, you have heard me get on the soapbox often enough, but to me the essence of valuation is connecting stories to numbers. As I noted in this most recent post of mine, this requires me to push people out of their comfort zones, encouraging numbers people to tell more stories and stories people to work more with numbers. No matter how far on either end of the numbers/ story spectrum you are, I think that no one is beyond reach. Valuation without action is pointless: I have never felt the need to use a case study in my valuation class or value a widget company in my class, because I not only find valuing real companies in real time more interesting, but I can act on my own valuations and I usually do, though not always with conviction. Investing requires faith in both your capacity to value companies and in markets correcting over time and I try to let people see both the source of my faith and challenges to that faith. I did put together a short (about two minutes) YouTube video of my class that summarize my perspective on this class. So, both number crunchers and story tellers, welcome to the class and we can learn from each other! As a realist, there are a few skills that will stand you in good stead in this class and none of these skills are difficult to acquire. Read financial statements: For better or worse, our raw data comes from accounting statements and you need to be able to navigate your way through these statements. If you have a tough time deciphering the difference between gross, operating and net income, and don't quite understand what goes into book value of equity, you will have a tough time valuing companies. Don't remember your accounting classes? Don't want to go back there? Never fear! I have a primer on accounting that takes you through the absolute basics (which is about all I know anyway) and you can get to it by clicking on this link. Understand basic statistics: Statistics, I was taught in my first class, is designed to help us make sense of large and contradictory data. Since that is precisely our problem in pricing assets today, i.e., that we have too much data pulling us in too many directions, it may be time to dust off that statistics book (I hope that you did not sell it back or burn it after your last statistics class) and reacquaint yourself with simple statistics. So, start with the averages, medians and standard deviations, move on to correlations and regressions and if you can handle it, to statistical distributions. If you are lost, try this link for my statistics primer. Get comfortable with rudimentary finance: I have always found it unfair that to take some classes, you have to take the equivalent of a lifetime in pre-requisites. While having taken a corporate finance class eases the way in valuation, it is not required, nor is any other finance course. That said, your life will be easier if you have nailed down the basics of time value of money and computing present value, as well as understand the roots of modern portfolio theory, even if you don 't quite get the specifics. This link has my time value of money primer. It's taken me a while to get to specifics, but the class starts on September 2, 2015 and classes are every Monday and Wednesday from 10.30 am -11.50 am (with Sept 7, 14 and 23 being holidays) until December 14. The calendar for the class is available at this link. The class content will follow a familiar path, starting with a big picture perspective on valuing/pricing, followed by intrinsic valuation (DCF), relative valuation (pricing and multiples), asset-based valuation (accounting, liquidation & sum of the parts) and it will end with real options. 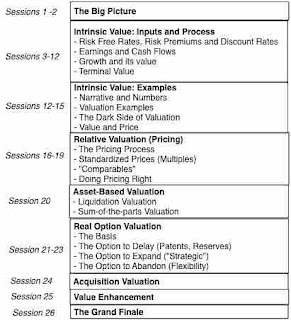 There will be two add-on sessions on acquisition valuation and value enhancement. My website: Everything I do in this class will be accessible on this page for the class. As you will notice on the page, you can not only access the webcasts for the lectures, but you can download the lecture notes, try your hand at the valuations of the week and even take quizzes/exams (though you have to grade them yourself). If you want, you can read the emails that I send to the class at this link. iTunes U: This has become one of my favorite platforms for delivering my class and it works flawlessly, if you have an Apple device, with an iPad providing a much better experience than an iPhone. (You have to download the iTunes U app, but it is free and the learning curve is barely uphill.) However, you can tweak it to work on an Android, with an add-on app. This semester's version will be available at this link. YouTube: This was my add-on platform last semester and while it was never intended for delivering full classes, it worked surprisingly well. The webcasts come naturally to it, though the 80 minutes is a stretch, but I will add on the presentation material and the post-class tests to the webcasts to supplement them. This semester, the lectures and supporting material will be found at this channel. Watch an occasional lecture or lectures: Rather than watch all 26 lectures, you can pick and choose a few on the topics that interest you the most. This strategy works best for those who cannot commit the time and/or are already experienced enough in valuation that they need just a brushing up of skill sets. Watch every lecture, do post class tests/solutions: You could watch every lecture, a significant time commitment at 80 minutes apiece, and do just the post-class tests (designed to take about 5-10 minutes). Remember that you don't have to take this in real time, since the course will stay online for at least a year. Watch lectures and take quizzes/exam: In addition to watching the lectures, you can put your knowledge to the test and take the quizzes and final exam. I will post my solutions with a grading template and you can grade yourself (My advice: Be an easy grader!). Since the exams are all open-book, open-notes all you have to do is honor the time constraint (30 minutes for quizzes, 2 hours for the final). 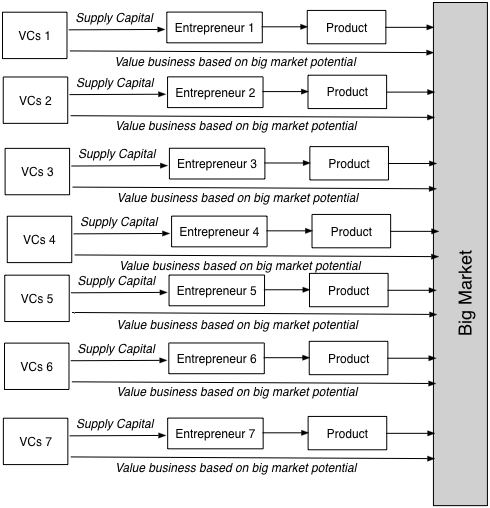 Watch lectures, take quizzes exam & value a company: In addition to doing all of the tasks in the prior path, you also pick a company to value (just as everyone else in my class will be) and try to apply what you learn in the class in that valuation. Unfortunately, there is little chance that I can offer you the feedback that I offer to those in my class, but I will try to answer a question or two, if you are stuck, and will provide my feedback template, when the time comes due. If all of these pathways all sound like too much work/time commitment and/or watching 80 minute videos of valuation lectures on your phone or tablet is not your idea of fun, I do have an alternative. 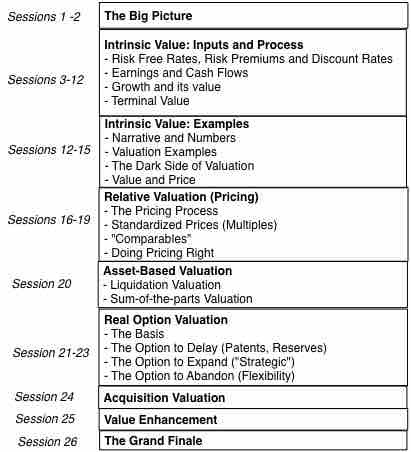 Try my online valuation class, where the sessions are about 10-15 minutes apiece, on my website, YouTube or iTunes U. Pass on it or pass it on! If you try the class and don't like it, I will not be offended and I am sure that you will find a better use for your time. If you try the class and you like it, I would like something in return. Please pass on a bit of what you know or have learned to at least one other person, and perhaps more. Knowledge is one of the few things in life that we can share, without being left poorer for the sharing, and while the return on this investment will be not be financial, the emotional dividends will make it worthwhile. Pearson PLC, the British publishing/education company, has been busy this summer, shedding itself of its ownership in two iconic media investments, the Financial Times and the Economist. On July 23, 2015, it sold its stake in the Financial Times for $1.3 billion to Nikkei, the Japanese media company, after flirting with Bloomberg, Reuters and Axel Springer. It followed up by selling its 50% stake in the Economist for $738 million, with 38% going to Exor, the investment vehicle for the Agnelli family, and the remaining 12% being purchased by the Economist Group itself. The motive for the divestitures seems to be a desire on the part of Pearson to stay focused on the education business but what caught my eye was the description of both the Financial Times and the Economist as “trophy” assets, a characterization that almost invariably accompanies an inability on the part of analysts to explain the prices paid by the acquirer, with conventional business metrics (earnings, cash flows, revenues etc.). What is a trophy asset? They are unique or rare: The rarity can be the result of natural scarcity (mining resources or an island in Hawaii), history (a newspaper that has survived a hundred years) or regulation/restriction (professional sports leagues restrict the creation of new franchises). They have name recognition: For the most part, trophy assets have name recognition that they acquire either because they have been around for a long time, are in the news or have wide following. They are cash flow generating businesses or investments: In contrast with collectibles and fine art, trophy assets are generally cash flow generating and can be valued as conventional assets/businesses. There is undoubtedly both a subjective and a negative component to the “trophy asset” label. The subjective component lies in how “rare” is defined, since some seem to define it more stringently than others. The negative aspect of labeling an asset as a trophy asset is that the buyer is perceived as paying a premium for the asset. Thus, an asset is more likely to be labeled as a trophy asset, when the buyer is a wealthy individual, driven more by ego and less by business reasons in making that investment. Thus, based on the earnings power in the two assets and low growth rates, reflecting their recent static history, the estimated value for the Economist is about £800 million and the Financial Times is worth £410 million. I will label these values in this table as the status quo estimates, since they reflect the ways in these media names are managed currently. While you could take issue with some of my assumptions about both properties, it seems to me that Nikkei’s acquisition price (£844 million) for the Financial Times represents a much larger premium over value than Exor's acquisition of the Economist Group for £952 million. Does that imply that Nikkei is paying a trophy asset premium for the Financial Times? Perhaps, but there are three other value possibilities that have to be considered. Inefficiently utilized: If a trophy asset is under utilized or inefficiently run, a buyer who can use the asset to its full potential will pay a premium over the value estimated using status quo numbers. That is difficult to see in the acquisition of the Economist stake, at least to the Agnellis, since the interest is a non-controlling one (with voting rights restricted to 20%), suggesting that the acquirer of the stake cannot change the way the Economist is run. With the Financial Times, the possibilities are greater, since there are some who believe that the Pearson Group has not invested as much as it could have to increase the paper's US presence. Synergy benefits to another business: If the buyer of the trophy asset is another business, it is possible that the trophy asset can be utilized to increase cash flows and value at the acquiring business. The value of those incremental cash flows, which can be labeled synergy, can be the basis for a premium over the status quo value. With the Nikkei acquisition of the Financial Times, this is a possibility, especially if growth in Asia is being targeted. With the Agnelli acquisition of the Economist, it is difficult to see this as a rationale since Exor is an investment holding company, not an operating business. Optionality: There is a third possibility and it relates to other aspects of the business that currently may not be generating earnings but could, if technology or markets change. With both the Economist and the Financial Times, the digital versions of the publications in conjunction with large, rich and loyal reader bases offer tantalizing possibilities for future revenues. That option value may justify paying a premium over intrinsic value. In fact, at the risk of playing the pricing game, note that you are acquiring the Economist at roughly the same price that investors paid for Buzzfeed, a purely digital property with a fraction of its history and content. With the Financial Times, adding these factors into the equation reinforces the point that the price paid by Nikkei can be justified with conventional value measures. With the Economist, and especially with the Exor acquisition, it does look like the buyers are paying a premium over value. As many of you who read my blog know, I have a fetish when it comes to differentiating between the value of an asset and its price. If value is a function of the cash flows from, growth in and risk of a business (estimated using intrinsic valuation models), price is determined by demand and supply and driven often by mood and momentum. If “trophy assets” are sought after by buyers just because they are rare and have name recognition, it is entirely possible that the pricing process can yield a number (price) very different from that delivered by the value process. In particular, the more sought after the trophy asset, the greater will be the premium that buyers are willing to pay (price) over value. In June 2014, when Steve Ballmer bid $2 billion to buy the Los Angeles Clippers, I tried first explaining his bid by valuing the Clippers as a business. Even my most optimistic estimates of earnings and cash flows at the franchise generated a value of $1.2 billion for the franchise, leading me to conclude that Ballmer was paying the excess amount ($800 million) for an expensive play toy. While it is possible that the same motivations may be driving John Elkann, the scion of the Agnelli family and chairs Exor, in his acquisition of the Economist, I hope that Nikkei, a privately held business, is not paying for an expensive toy. I am not arguing that paying this price premium is irrational or foolish. Far from it! First, it is possible that the emotional dividends that you receive from owning a trophy asset make up for the higher price up front. After all, Steve Ballmer’s friends are likely to be much more excited about being invited to have a ring side view of a Clippers game than watch Microsoft introduce Windows 10. Second, paying a premium over value does not preclude you from generating nosebleed returns from your investment, if you can find other buyers who are willing to pay even bigger premiums to take these trophy assets of your hands. In fact, many sports franchise buyers in the last decade who were viewed as paying nosebleed prices for their acquisitions have been able to sell them to new buyers for even higher prices. I tend to be skeptical of when an assets is casually labeled as a trophy asset, since it the labeling allows us to categorize its buyers as driven by non-financial considerations, without having to back up that contention. While both the Economist and the Financial Times have been labeled trophy assets, I think we have to hold back on that judgment, especially with the latter, to see what Nikkei has in mind for its new addition. After all, people were quick to label the acquisition of the Washington Post by Jeff Bezos as a trophy buy, but news stories suggests that there have been major changes at the Post since the deal was completed, which may be laying the foundations for delivering value. If an asset class becomes a repository for trophy assets, it will attract buyers who will pay for non-economic benefits and the pricing of assets will lose connection to fundamentals. At the MIT Sloan Sports Conference this year, I was on a panel about the “valuation” of sports franchises and I made the argument that wealthy buyers in search of glamorous toys were increasingly changing these markets into pricing markets. In fact, as long as the number of sports franchises is static and the number of billionaires keeps increasing, I see no reason for this trend to stop. So, if the New York Yankees or Real Madrid go on the auction block, be prepared for some jaw-dropping prices for these franchises.